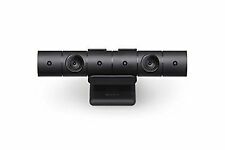 Official Sony PlayStation 4 Camera (CUH-ZEY2) Version 2.0 (in retail box) NEW! PlayStation 4. Manufacturer Part Number. Trending at $48.55eBay determines this price through a machine learned model of the product's sale prices within the last 90 days. Replace your faulty or broken wired sensor bar on your Nintendo Wii / Wii U with this bar. 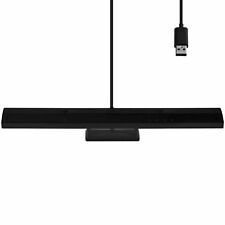 Official Nintendo Wii Sensor Bar Black Wired RVL-014. Nintendo Wii / Wii U. se Wii not included. Wired Sensor Bar. Condition is Used. Item is in working condition. Our sales manager will leave you positive feed back once you have left positive feed back for us. ③Desined for receiving the infrared signal from the Wii console. ⑤Inset the inductor in the Sensor bar of the Wii console. ④Only need connect the inductor's plug to the Wii console. ⑥Easy and convenience to use. It is in nice shape and works perfectly fine. 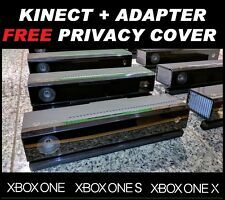 This kinect works with xbox one original but if you have an adapter you can use it for the xbox s, xbox x or windows 10 for PC. 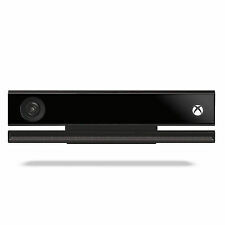 One Xbox One Kinect Sensor model 1520. Each Kinect has been checked and works great. Item is used and may have scuffs, scratches or signs of wear. Look at pictures for details. Item has been fully tested, inspected and is in good working condition. Trending at $8.00eBay determines this price through a machine learned model of the product's sale prices within the last 90 days. NINTENDO PART NUMBER RVL -014. GENUINE NINTENDO WIRED WII/WII U SENSOR BAR. (Never Used/Never Plugged). Nintendo: Wii, Wii U. 1 x Wireless Sensor Bar. Wireless Sensor Bar. Automatically switches to a power saving mode to conserve battery power. ⚠ WARNING: This product can expose you to chemicals including DEHP, which is known to the State of California to cause cancer and birth defects or other reproductive harm. Kinect is in great condition with little wear. Model # 1414. If such is the case, we will try all we can to replace the item with an identical item in working condition. This item is new never been used. It was taken out of a bundle. This is also fully compatible with Nintendo Wii. 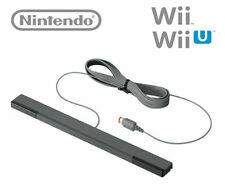 1 Wired Sensor Bar for Nintendo Wii. Manufacturer: NINTENDO. 1 Stand Hold. If you have not done this before, a technician or professional installation is highly advised. Only need connect the inductor's plug to the Wii console. Desined for receiving the infrared signal from the Wii console. Easy and convenience to use. Microsoft Xbox 360 Kinect Sensor White . Condition is Used. Shipped with USPS Priority Mail. 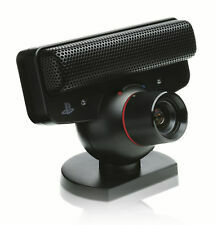 SONY PLAYSTATION 4 CUH-ZEY2 CAMERA. Condition is Used. Shipped with USPS First Class Package. For Nintendo Wii Color: Silver Brand Unbranded MPN Does not apply UPC 190268118682. We are here for you! We strive for you to have a "Goldstar" experience start to finish! Need a new sensor bar to replace the worn out or broken one that you have?. Bought a Wii or WiiU and it's missing the sensor bar?. Get your gaming on! Old Skool Wired Motion Sensor Bar. for Nintendo Wii & Wii U. Tested and working. Unit has some light scuffs and signs of wear. Includes Kinect sensor and adapter. 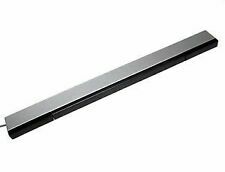 1 Each - Microsoft Xbox 360 Kinect Motion Sensor Bar Model: 1414 SN: 229740413235. Platform: Microsoft Xbox 360. Type: Motion Sensor. 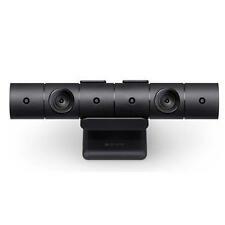 Sony PlayStation 4 Camera Motion Sensor V1 with stand(CUH-ZEY1). Condition is Used, but Like New. Perfect Condition. Shipped with USPS Priority Mail. Microsoft Xbox 360 Live Vision Camera. 5 out of 5 stars - Microsoft Xbox 360 Live Vision Camera. 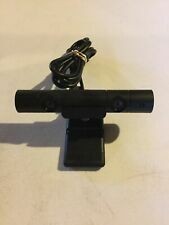 1 product rating1 product ratings - Microsoft Xbox 360 Live Vision Camera. Nyko Brand Wireless Sensor Bar for Nintendo Wii - Great Condition! Nyko Wireless Sensor Bar for the Nintendo Wii - Great Condition! •Item: Wired Remote Sensor Bar for Nintendo Wii. •Replace your faulty or broken wired sensor bar. •Nintendo Wii Not Included. •Just Connect to your console and your ready to Play. •Long Cable Allows for the freedom to place your console anywhere. Model: Kinect, 1520. We will not send a combined invoice unless it is requested. We are not able to make any exceptions to this policy. GoodTech (520). 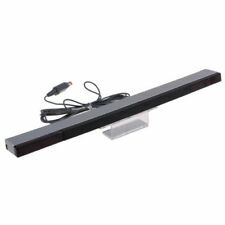 1 Each - Microsoft Xbox 360 Kinect Motion Sensor Bar Model: 1414 SN: 014434512635. Platform: Microsoft Xbox 360. Type: Motion Sensor. Nyko Zoom Lens for the Xbox 360. Condition is Used. Shipped with USPS First Class Package. Microsoft Xbox One Kinect Sensor, blk. Shipped with USPS Priority Mail. Used. 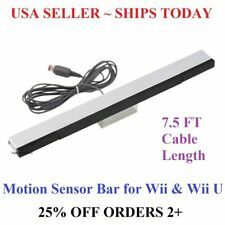 Official Nintendo Sensor Bar Original Genuine Infrared Nintendo Wii/Wii U NEW! Motion Sensor Bar - Nintendo Wii. If such is the case, we will try all we can to replace the item with an identical item in working condition. See pictures for details. 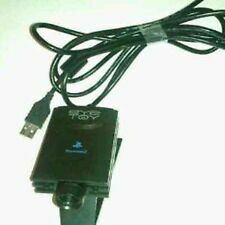 4.5 out of 5 stars - Sony PlayStation Eye Camera New In Box. 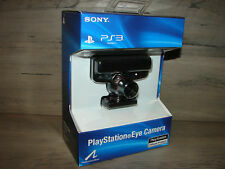 66 product ratings66 product ratings - Sony PlayStation Eye Camera New In Box.